The RBI Assistant Mains Examination 2017 is over now and you will be eagerly waiting for the review of the exam. The number of vacancies available for the RBI Assistant Mains Exam is 623 and aspirants are competing for these posts in the mains Examinations. The prelims exam was in the easier range and when considering the number of posts the total intake for the mains exam was less. The Review of the RBI ASSISTANT MAINS EXAMINATION 2017 is here and we have some surprises in the exam. New Pattern questions were asked and some of the most expected topics in the Quantitative Aptitude section were not asked. This RBI assistant Mains Exam 2017 brought in sure surprise and this was unexpected and these surprises added this exam to the list of exams in a difference. The Exam was in the moderate range and the feedback from the Aspirants states that this was in par with the other exams and definitely not in the easier range, so this clearly mentions the level of difficulty of the RBI ASSISTANT MAINS EXAM 2017. The most intense and tough exam which should be cracked by the aspirants to become a part of the Premier Banking Regulator of our Country. So our eagerness to know the review of the exam is evident. This will be useful for the other candidates who have attended the RBI Assistant Exams and who didn’t qualify for the Mains Examination. 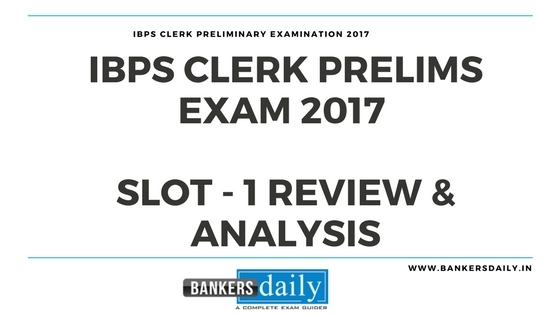 The Mains Examination of the RBI Assistant Prelims Exam 2017 is over and we will be updating the review of the RBI Assistant Mains Examination 2017 in a few moments. We are in need of a small favor from the aspirant’s side, please share with us the following if you have attended the RBI Assistant Mains Exam 2017. How was the RBI Assistant Mains Exam 2017 ? What are the best attempt in various section in the RBI Assistant Mains Exam 2017 ? What is the difficulty range of the various sections in the RBI Assistant Mains Examination 2017 ? 3 DI sets were asked. One table (based on Items sold) , One Bar and One Caselette DI was asked. No Number Series Questions were asked. Quadratic Equations were asked after a long time in the Assistant Exams. Only 5 Data Sufficiency Questions were asked. Mostly Miscellaneous Questions were in the easier front for some problems. One puzzle was based on distance and One Puzzle was based on Floors. One set of Arrangement which was in the easier side was asked. One set of Input – Output questions was asked. Alphanumeric series , Blood Relation , Direction and miscellaneous Questions had the maximum umber if questions in a combined manner. MOT was the real surprise as this was asked this time. Reading Comprehension consists of 10 Questions which had 4 questions from Antonyms and Synonyms. US Economy based Paragraph was asked. The reading Comprehension was based on the Old Pattern. One Set of a Sentence Rearrangement was asked. Sentence Replacement based on Idioms and Phrases were asked. New Pattern Error Spotting was asked which was totally different this time. This was the easiest section and this was the scoring section in the RBI Assistant Mains Exam 2017. Most of teh questions were from the recent current affairs section. In BCSBI , the Letter “B” stands for ? What is the voting share of the Promoters in Payment Banks? In which Place Dhudhwa National Park is located at ? Who won the Macau Open Grand Prix Gold ? In which State , the Gudi Pahva festival is celebrated ? What is the Book name of the recently published autobiography of actress Hema Malini ? Which Bank have recently announced 100% cashback on EMI ? What is Traditional Ethnic Dress of Meghalaya ? NOTE : More Number of Questions will be added to this list once , we get the Updates. This was also in the easier range and many candidates would have attended more than 30 + questions while considering the level of the questions. 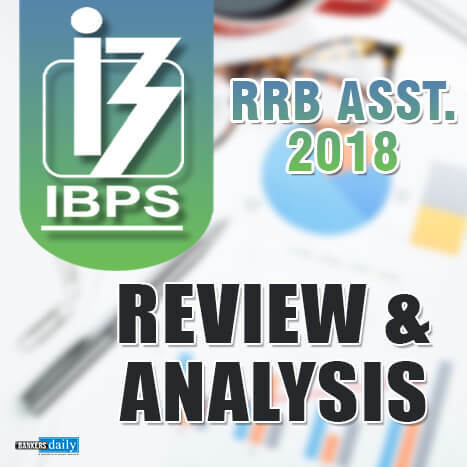 Your valuable feedback about the exams and the questions asked in the RBI ASSISTANT Mains Examination 2017 will be helpful for the other candidates and also to the ones who wish to know things in the exam.